Welcome to the official website of Dr. Paul R. Byrne, M.D. Thank you for visiting the official website of Dr. Paul R. Byrne. We provide state of the art Obstetric and Gynecologic care from our Garden City office. We care for women from Suffolk, Nassau, Queens and Brooklyn. We provide compassionate, comfortable care to cover the spectrum of a woman's health needs.Our services include complete Obstetric care, from preconception care through the entire pregnancy and delivery to postpartum care. We also provide care for those patients whose pregnancies are considered high risk. 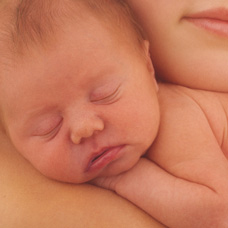 We boast a low rate for cesarean sections without compromising the care of the woman or her infant. Labor coach, Doula services, child birth education programs are all offered through our office. Gynecologic services provided cater to all phases of life, from the special needs of adolescents through concerns and health maintenance issues that apply to the mature woman. Special emphasis is applied to the treatment of what are traditionally considered surgical diseases. Alternatives to hysterectomy are regularly utilized to offer women choices that would better suit their lifestyles. Minimally invasive procedures are a specialty of the practice that allow the patient to appropriately treat different problems with a more rapid return to what is truly important, living life! Doctor Byrne specializes in comprehensive prenatal and obstetrical care. This is offered to women who are anticipating a normal or a high-risk delivery. Doctor Byrne and his staff are well trained and experienced professionals who will help guide you and answer all your questions and concerns through-out your pregnancy. by calling the Essure Information line at 1-877-ESSURE1. Let's make your pregnancy a great experience! Make an appointment today with Dr. Byrne! Copyright © 2006. Dr. Paul R. Byrne, M.D. All rights reserved.